Two years ago, if you’d asked me which direction I would expand into from Hyper-V, it wouldn’t have been into Azure. But, things change. Back in 2007, I believe that I blogged that I wouldn’t work with Hyper-V and would be sticking with VMware. Then a year later I’m working with Hyper-V, blogging about it, and eventually evangelizing about it too! But what got me to change my mind about switching to Hyper-V? It was System Center. I was a fan of System Center and I saw the potential of Microsoft big picture thinking for the data centre. How times have changed. In recent years, I have moved more and more away from using System Center. While I still love the potential power of the suite, it has become less and less relevant for me and my customers. Microsoft saw to that back in 2012 when they changed the licensing of System Center. Other things, such as increased complexity of installation and maintenance (hiding necessary upgrade steps while pushing automated upgrades via Windows Update) makes owning System Center more of a complexity than it should be. And meanwhile, the Windows Server group has made the automation of System Center less necessary by giving us PowerShell. The market of System Center has shrunk to a relatively small number of very large sales. And that doesn’t include my market here in Ireland. Unlike many of my fellow MVPs, who are gravitating to the small amount of but large profit System Center work that is out there, I’m moving in my own direction. The writing is on the wall. The cloud is here, real, and relevant to businesses of ALL sizes. I’ve been adding Microsoft Azure IaaS to my arsenal of Hyper-V, clustering, and Windows Server storage/networking skills over the past year or so. Once again, it appears that I’m swimming in a small pool but I’ve been there before; I swam in the Hyper-V puddle that became an ocean. There’s so much to Azure and it’s growing and evolving at an incredible pace. It’s not an alien technology. There is the fact that Azure is based on Hyper-V (WS2012 to be exact). But Azure compliments on-premises deployments too. Need off-site backup? Want an affordable DR site? Need burst compute/storage capacity? Azure does all that … and much more … with or without System Center, for SMEs, large enterprises, and hosting companies. 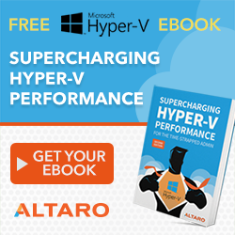 Regarding Hyper-V, aren’t all the features that unleash the power of Hyper-V in SCVMM? No. NVGRE is made realistic with SCVMM. But in other situations, SCVMM is behind Hyper-V, and the only way to access ALL features (except NVGRE) is through the native Hyper-V PoSH module. 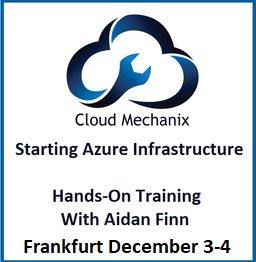 Aidan, how long do you think it will be until they update Azure to 2012 R2? Do you think they will bypass it and go straight to vNext? Yea, but when you have to manage more than 50 Hosts, create vm templates all this stuff, you still need SCVMM,right? Nope. Try telling Azure that. Well, suppose you have Hybrid Cloud and 50 hosts on premise. With what do you manage all of them? Are you suggesting WAP? Nice to see a familiar face in the small pool. I think you are on to something. I have worked with SCOM and SCCM and always ended up doing it with other 3. party solutions. I need these systems to get work done not create more work. Don’t get me wrong I love MS, working as an IT Pro for 15 years, but System Center is a mess I can easily live without.